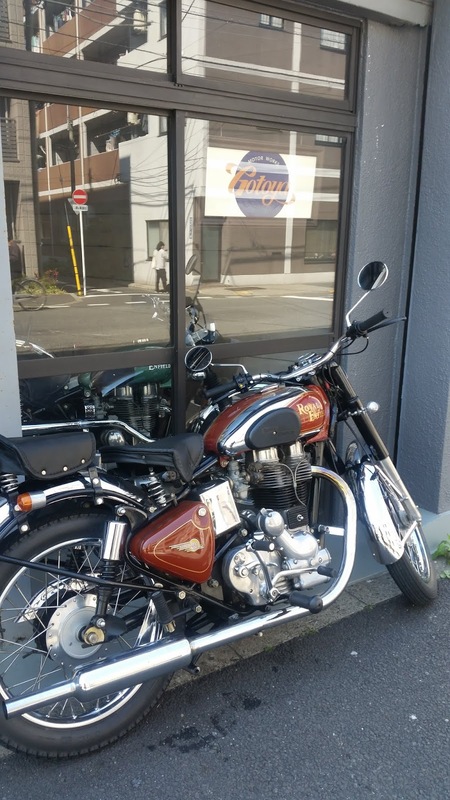 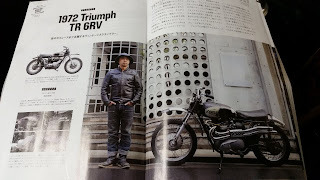 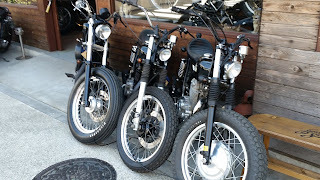 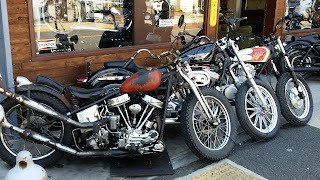 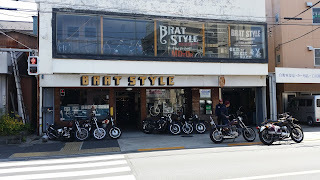 After Brat it was back on the subway and a fair walk out to meet Hiroki at Gotoya Motor Works. 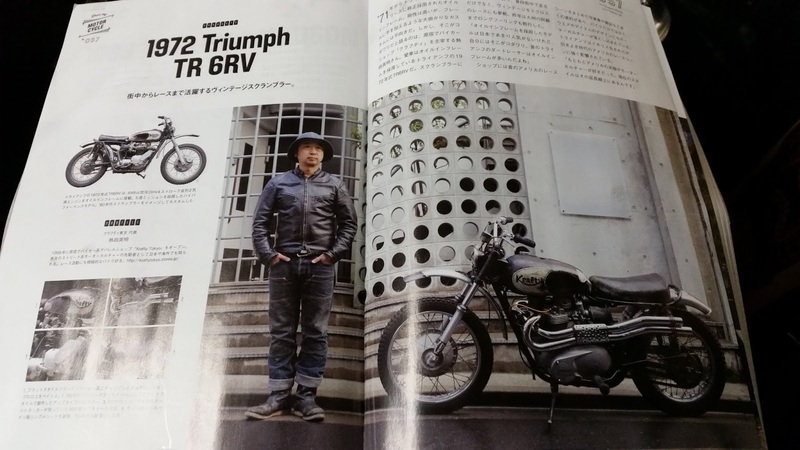 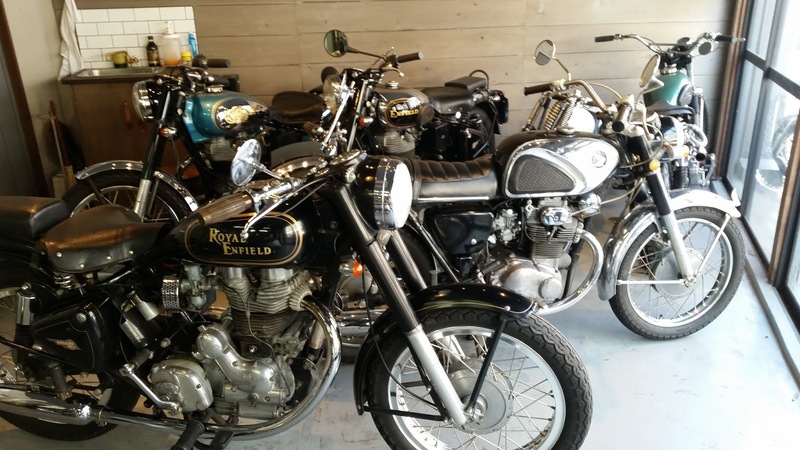 Although he owns and has built other marques, he specialises in all things Royal Enfield. 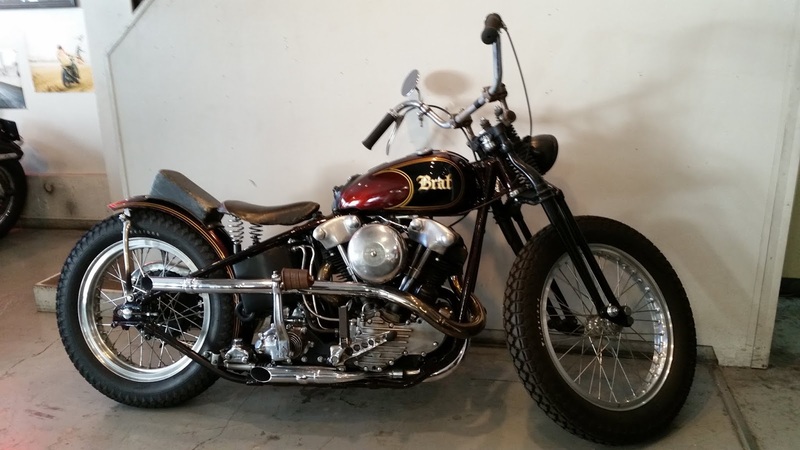 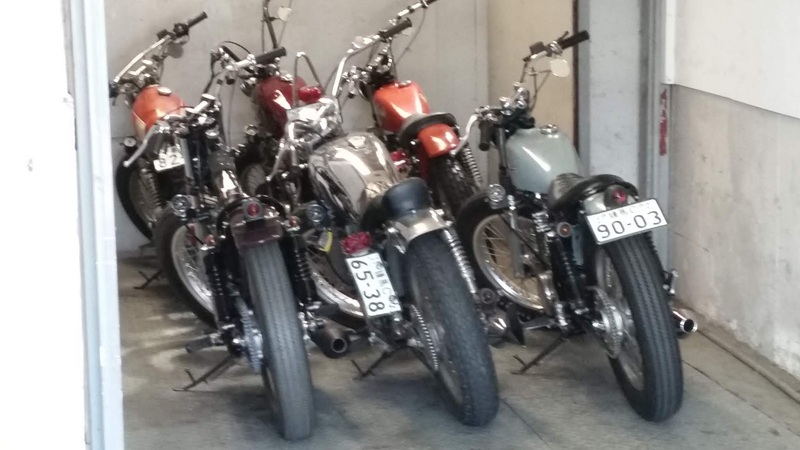 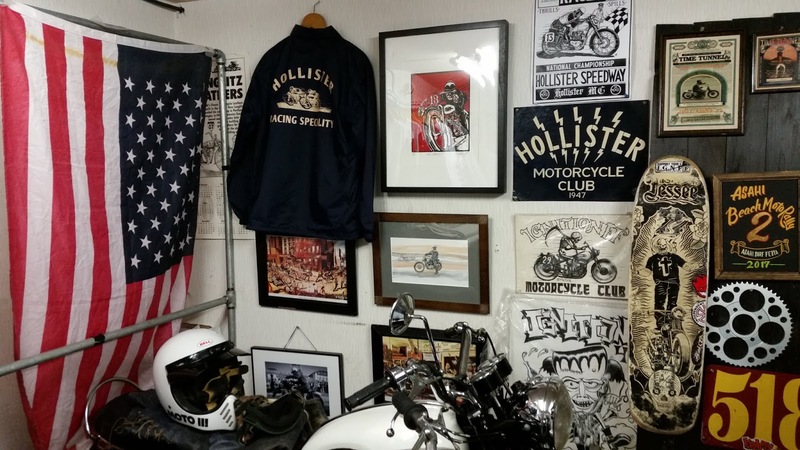 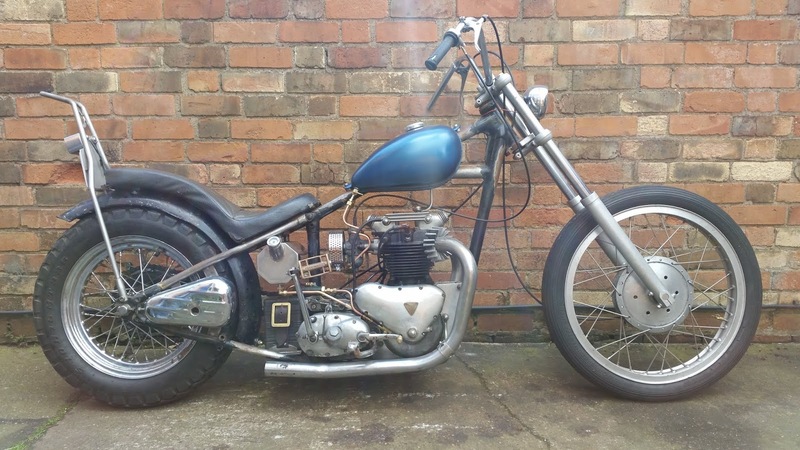 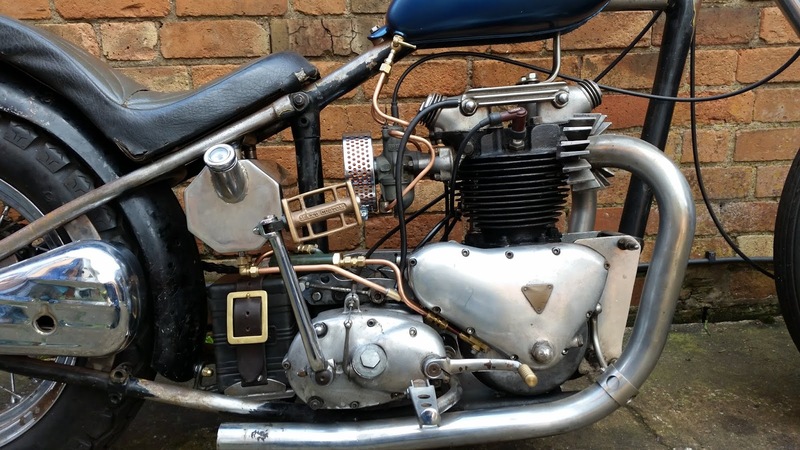 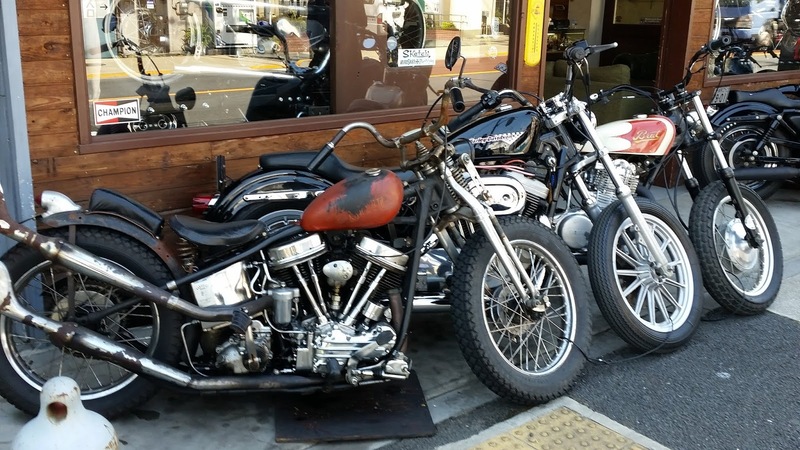 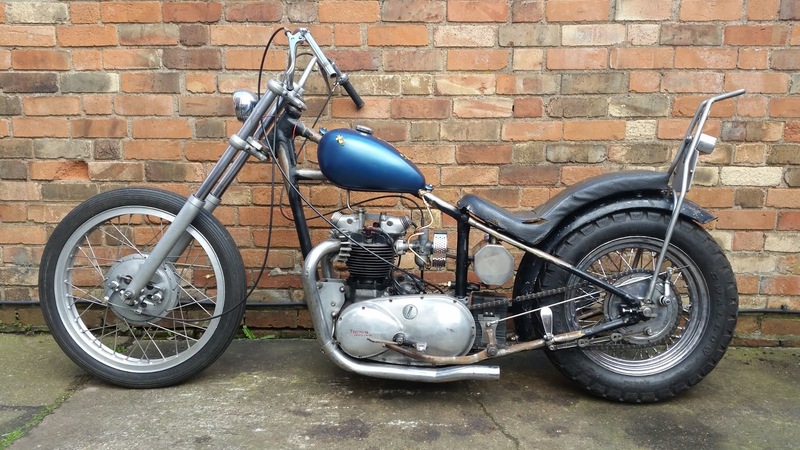 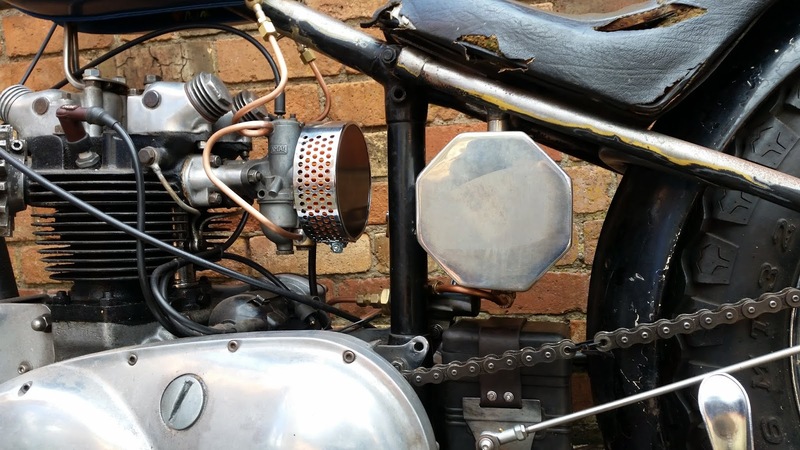 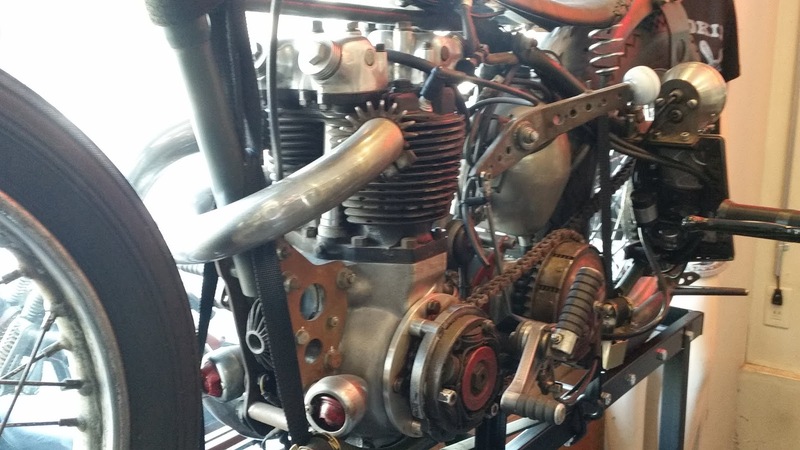 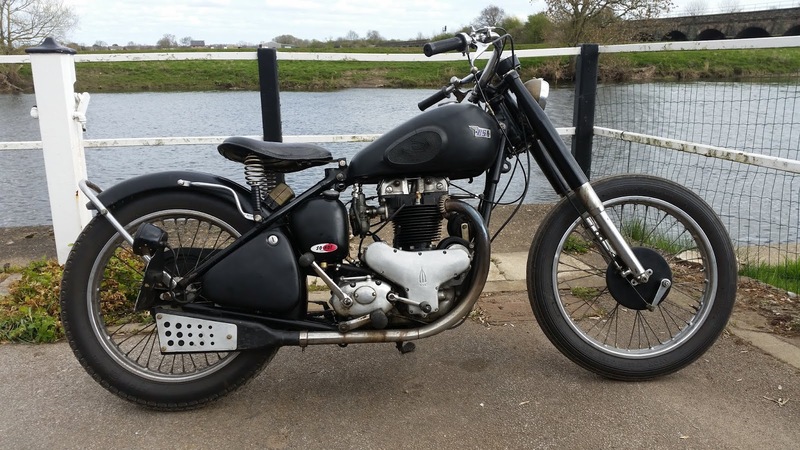 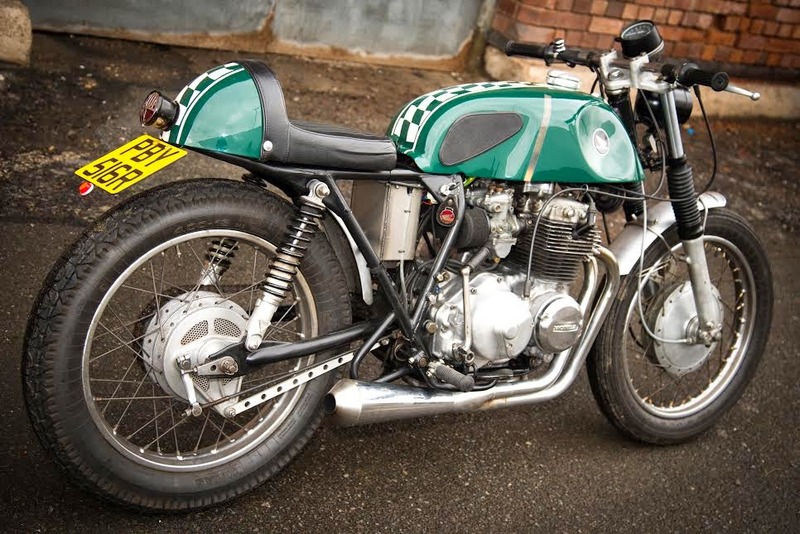 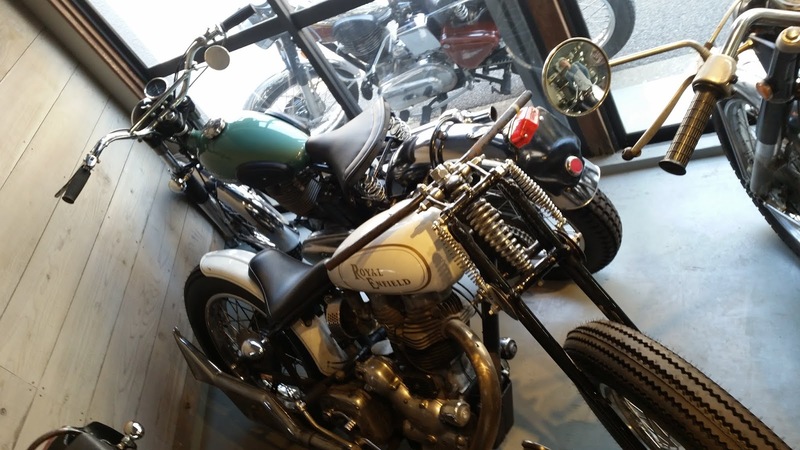 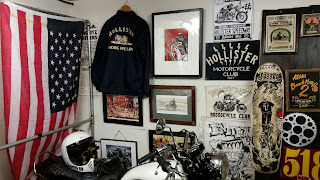 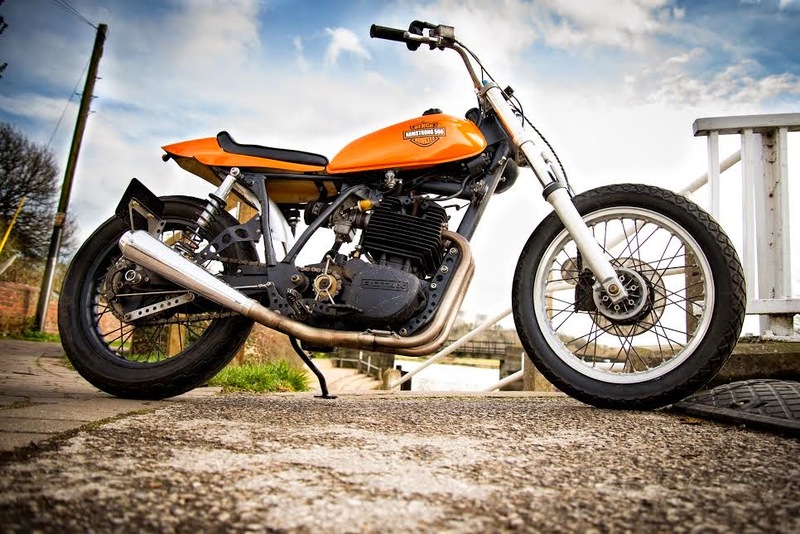 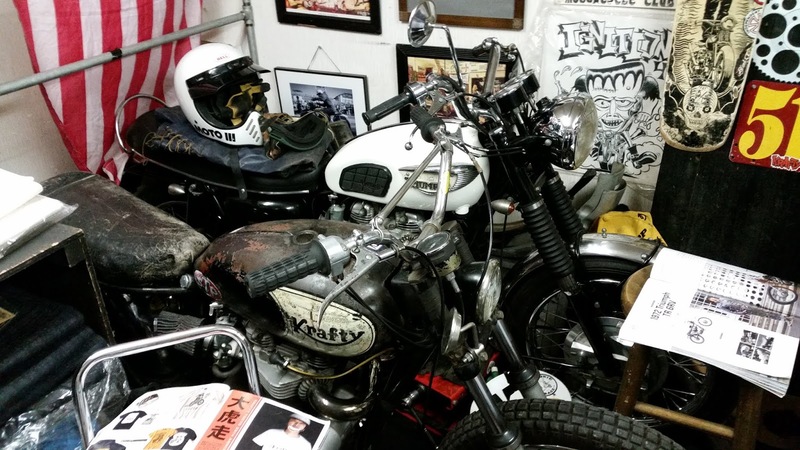 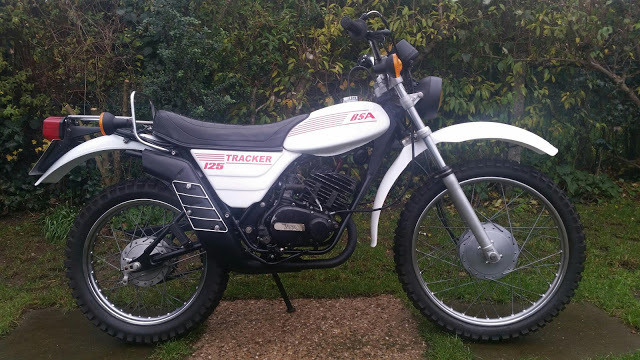 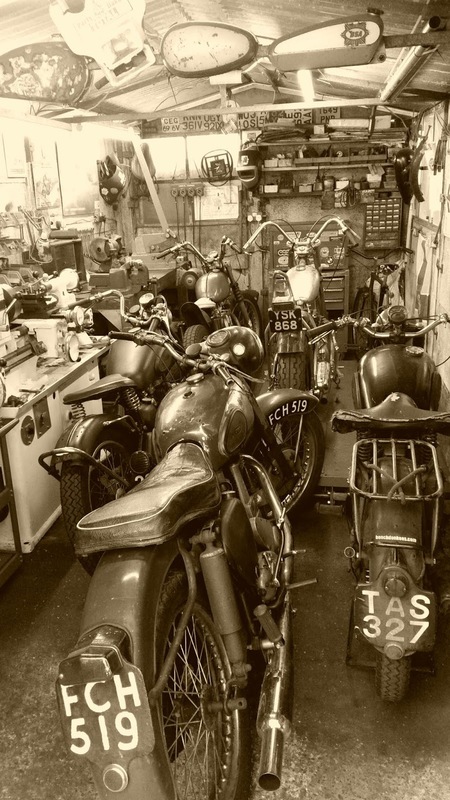 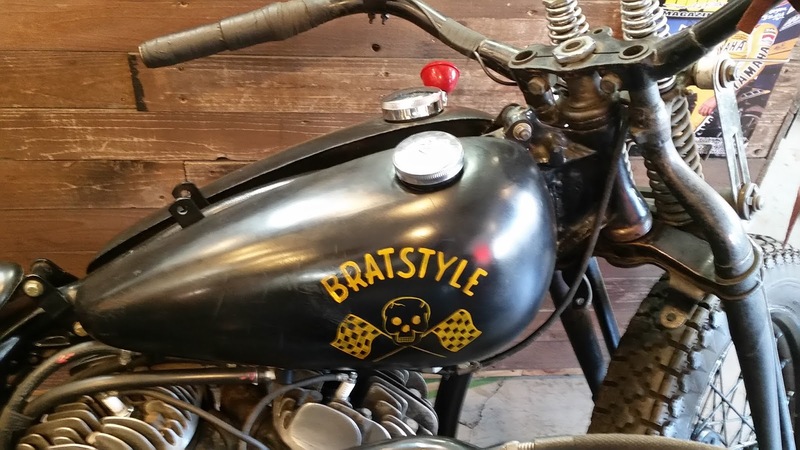 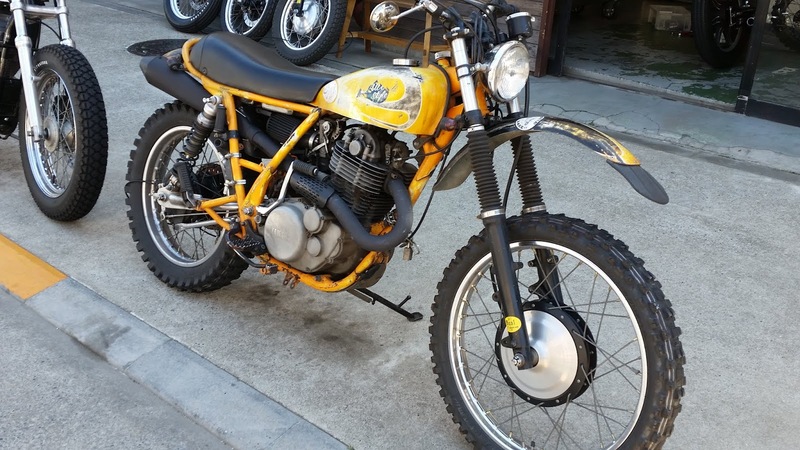 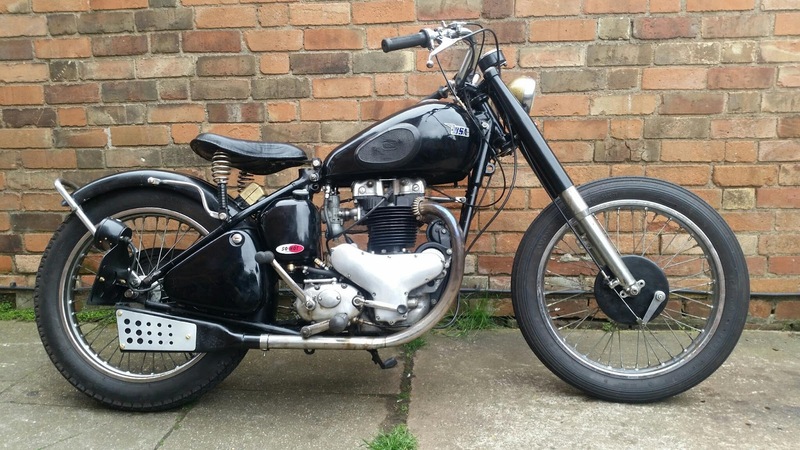 From custom bobbers and scramblers to engine work and servicing on standard machines. While I was there he was finishing off a Hitchcock's big bore conversion and twin plug head. 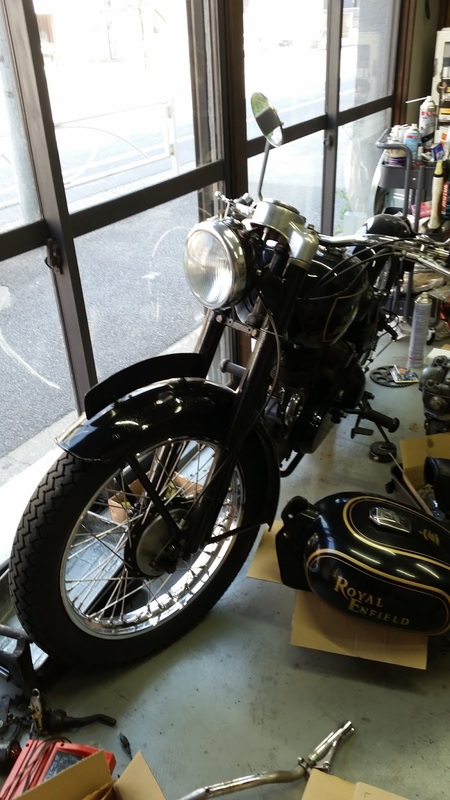 It's not just about the Indian models either, he's got a lovely '48 model G sat in the window. 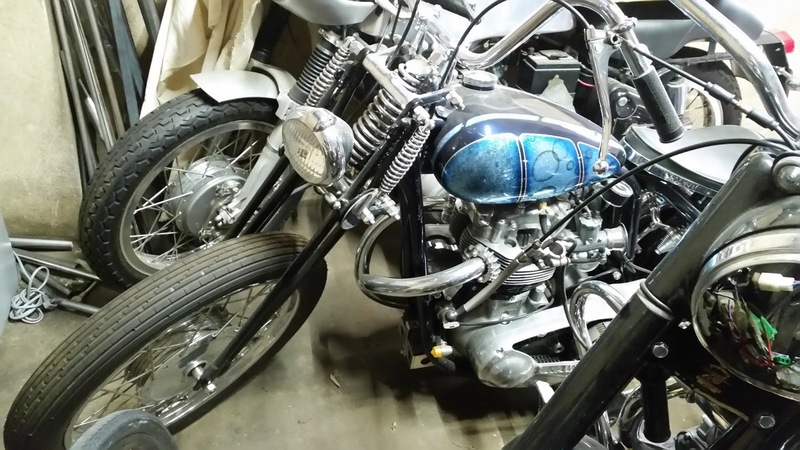 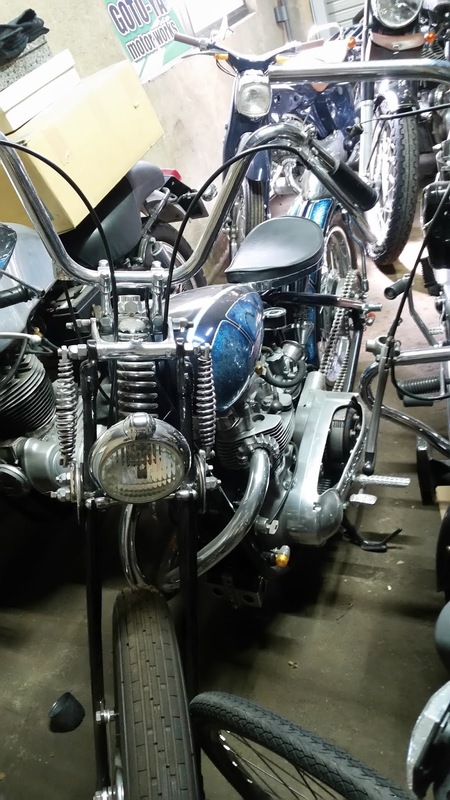 He also showed me the back room which was crammed full of bikes including his show winning Triumph chop, an immaculate Kawasaki W1 and an A10 with a blown engine awaiting parts. 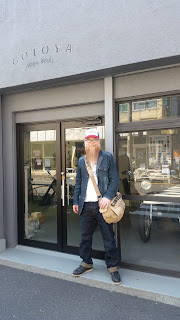 For someone who appears so young he certainly knows his stuff, such a friendly fella too, both him and his mate made me feel really welcome! 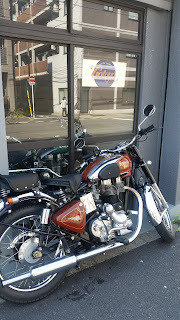 Again, well worth dropping in if you're in the neighbourhood. 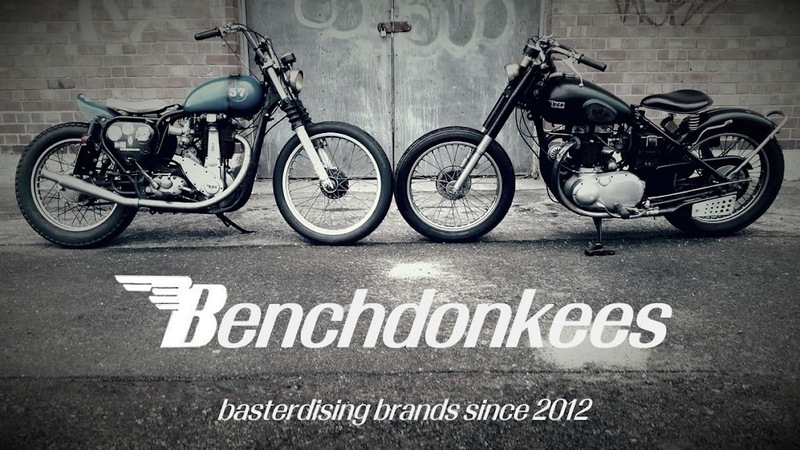 A custom shop, a brand and a worldwide style. 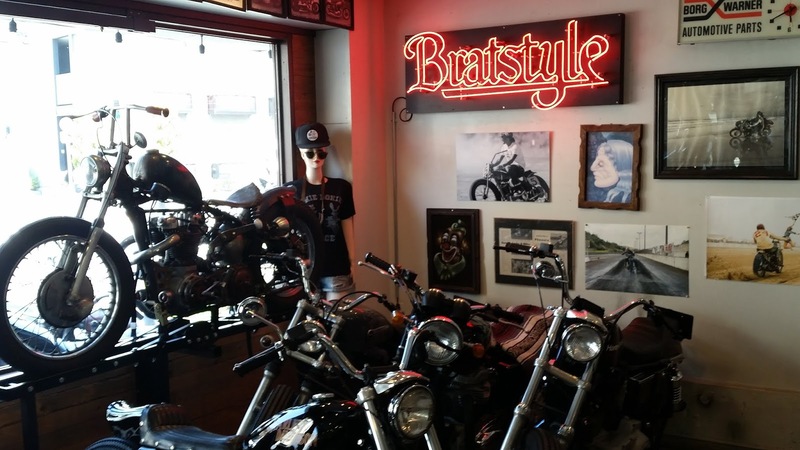 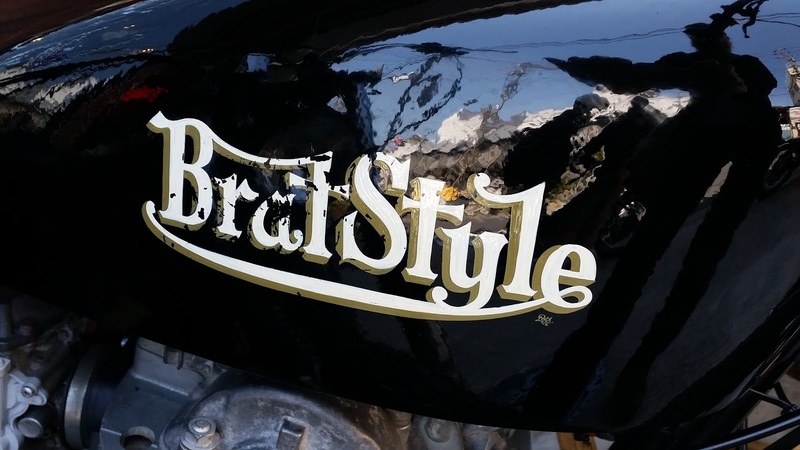 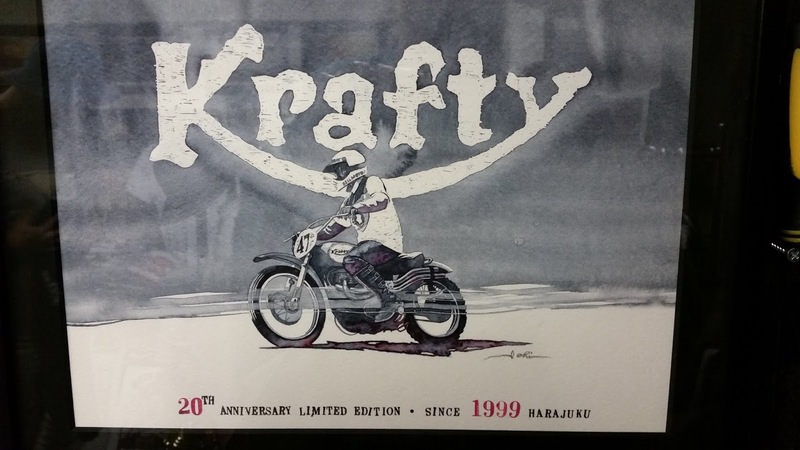 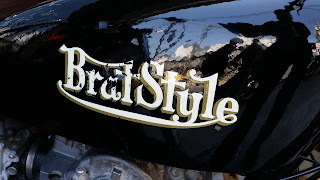 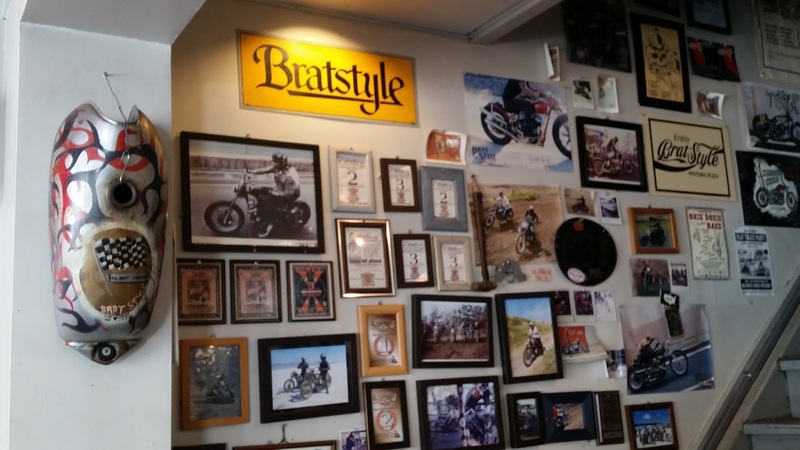 A couple of days after we met Hide, I rode the Tokyo subway out to the original Brat Style workshop come store. 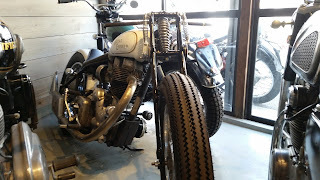 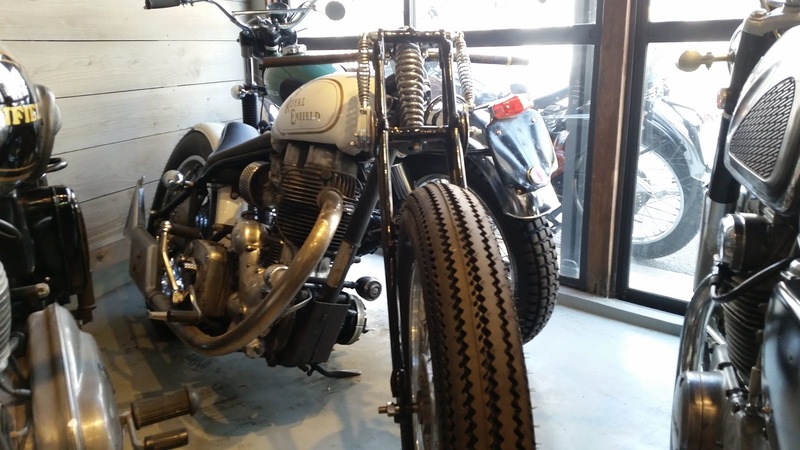 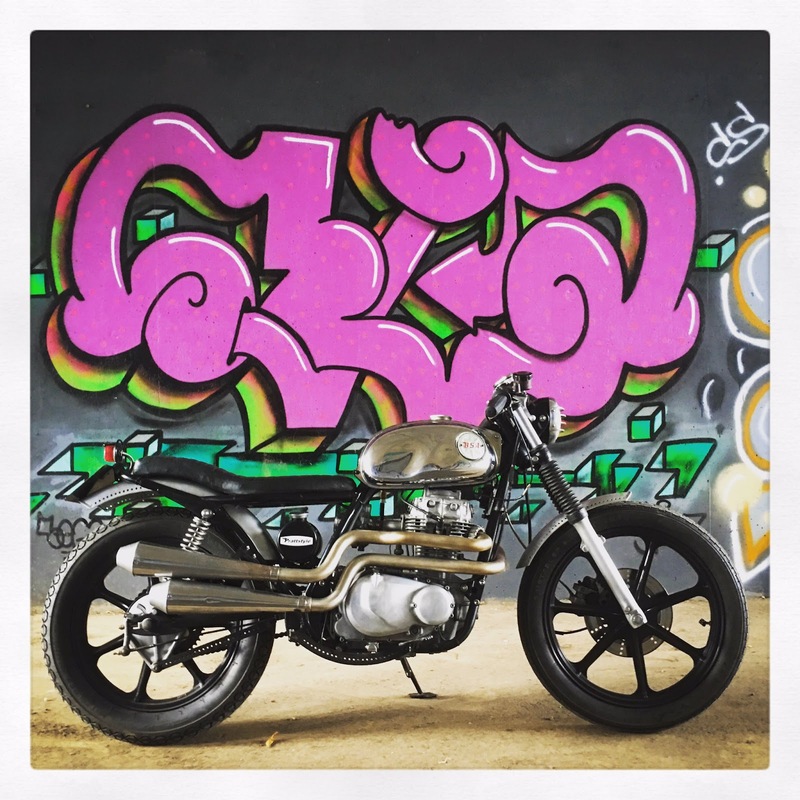 Now known as a style of customised bike, stripped of all unnecessary junk and brackets, somewhere between a street tracker and a cafe racer, skinny seat and cut down or non existent mudguards. 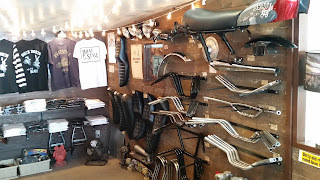 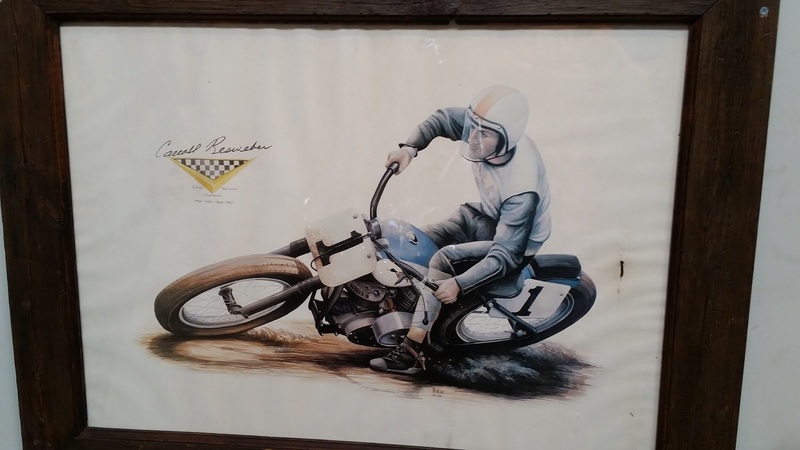 It started here, famous for cool looking ripped back Sr400/500, XS650, W650 and Harley Sportster based bikes, Go Takamine built some stunning show winning British and American based choppers and bobbers. 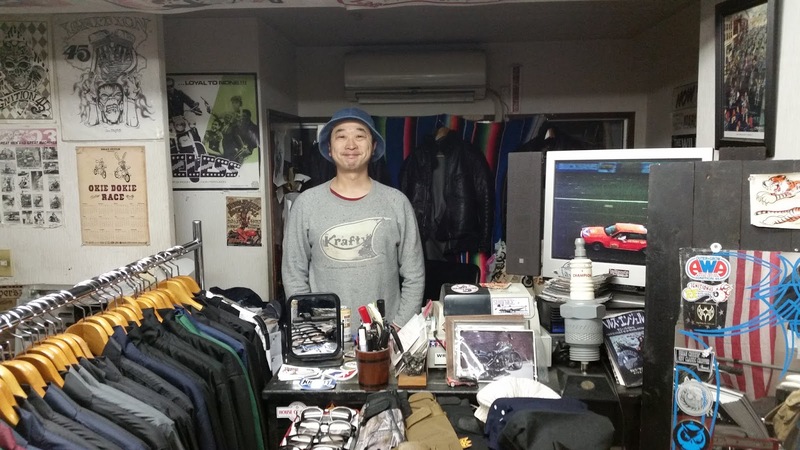 He continues to build at the sister store in Long Beach CA, leaving the guys in Tokyo to carry on the good work. And what a friendly and helpful bunch! 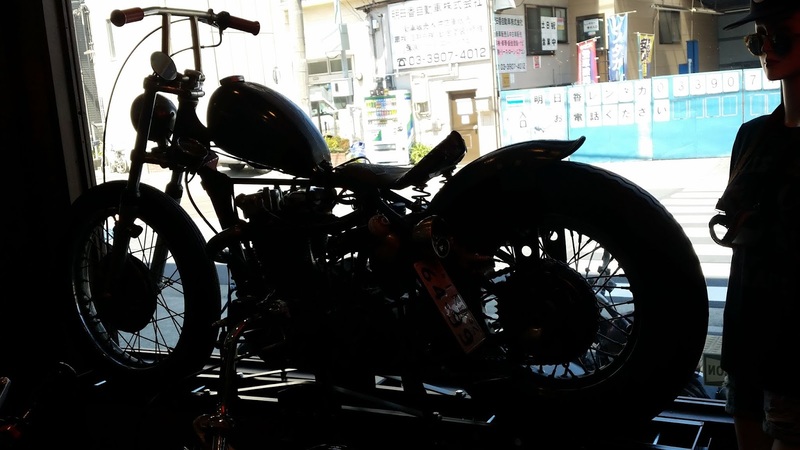 I got a really good look around all of the bikes both in and outside the shop, helped by their mechanic Yuki. Even though he was busy setting up the carb on an SR500 (popping out for test rides from time to time) he made time to show me around and answer all of my questions about the various machines. 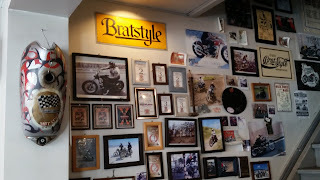 Another place well worth a visit if you're fortunate enough to find yourself in the neighbourhood. An added bonus was that while the better half was busy with work, I got chance to visit a few custom bike shops. 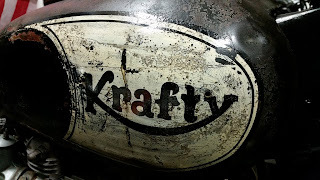 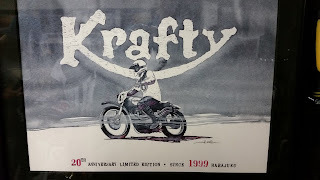 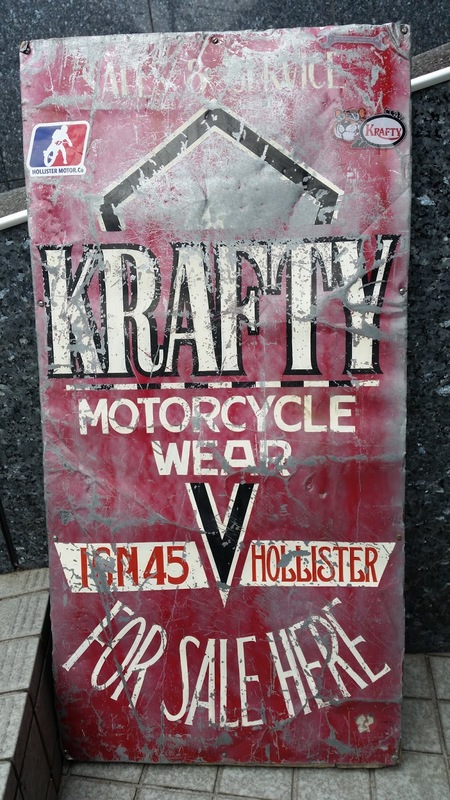 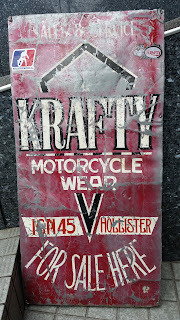 First up we both went to Krafty to meet the lovely Hide. 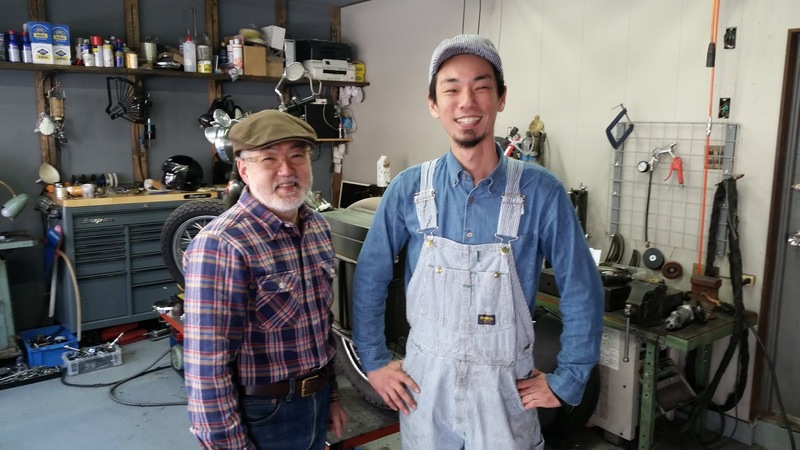 Although his English is limited and our Japanese non existent, we had a great time and learnt a lot about him and his bikes. Even though he's such a friendly chap, I'm sure this was easier because when he was showing me pics of him and his bikes in local bike mags, I could show him the Armstrong in Sideburn #33, which he stocks. 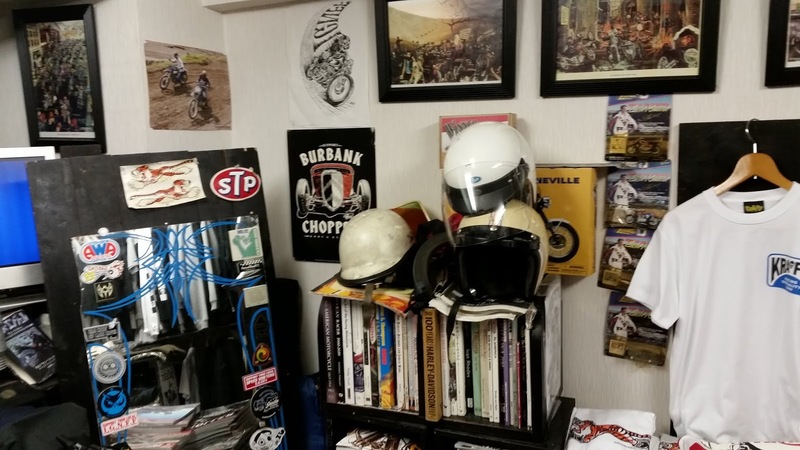 He regularly competes in VMX races, dirt track and sand too. 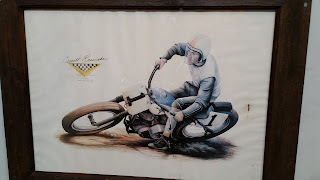 At the moment he's campaigning a Honda Elsinore but still races his 650 Triumph and also showed me pics of him racing his old Harley 45.
look him up, you'll be made very welcome! A week or so ago I picked up where I left off on Dave's chop. Because I hadn't fitted the chain before making the oil tank mounts the tank needed moving so as not to be caught if the chain ran loose. I ended up shortening the mounts to lift it up and moving the frame tube forward which also gave it some lift. 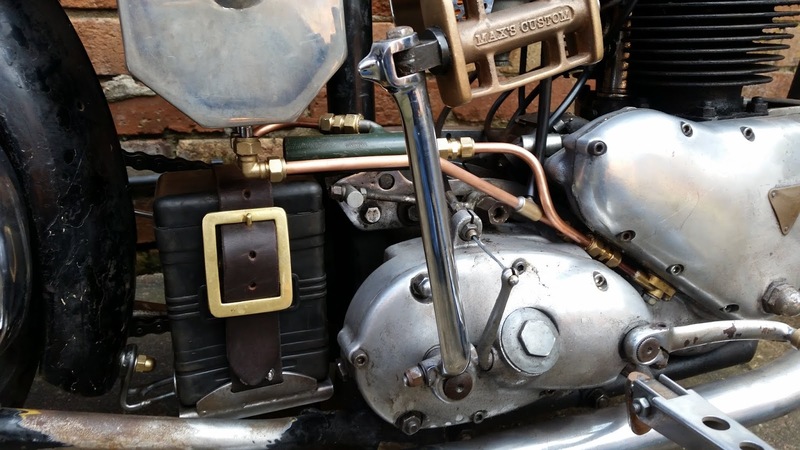 I've also plumbed in the fuel and oil. The oil tank doesn't have a filter so I've used a remote one which I took off the Armstrong years ago. The battery tray got mounted too, tying down the front of the rear mudguard . Another cool bike related thing happened a few months back, I bought Roy''s '54 B33. 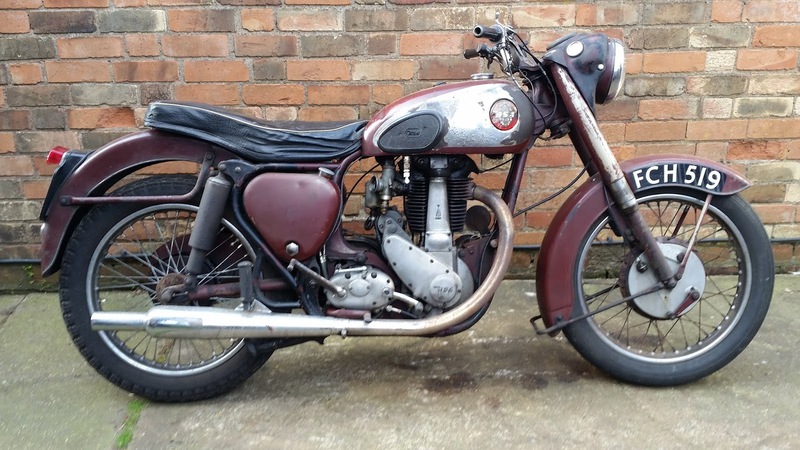 As you can see the bike has survived pretty much unmolested and is very original and unrestored. 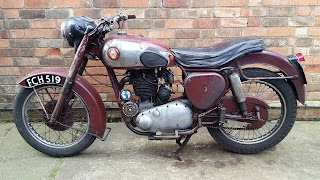 It even came with a full set of tax discs, there's a copy of the one from 1954 in the holder. 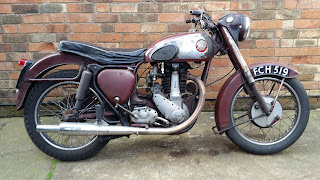 Roy bought it from his mate who got it second hand in 1956. 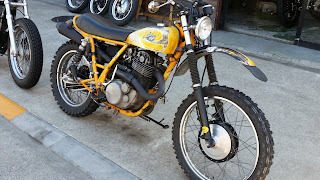 It was in everyday use until the 70s when it was laid up. 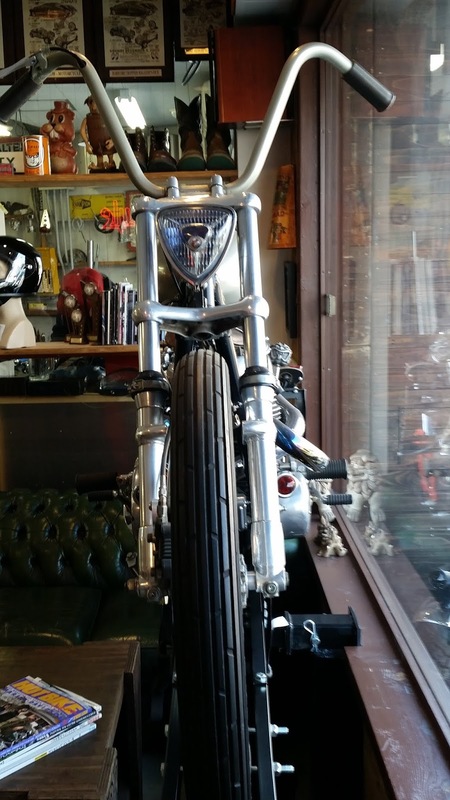 Roy got hold of it in the early 2000s and put it back on the road. 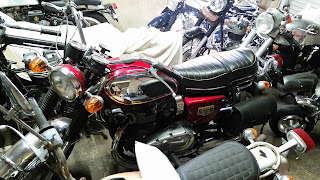 I've known both him and the bike for around 10 years, he agreed to sell it to me because he knows I'll use it and not restore it. 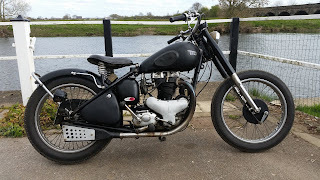 It runs and rides lovely, it's a proper joy to take out for a spin! 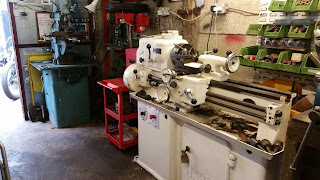 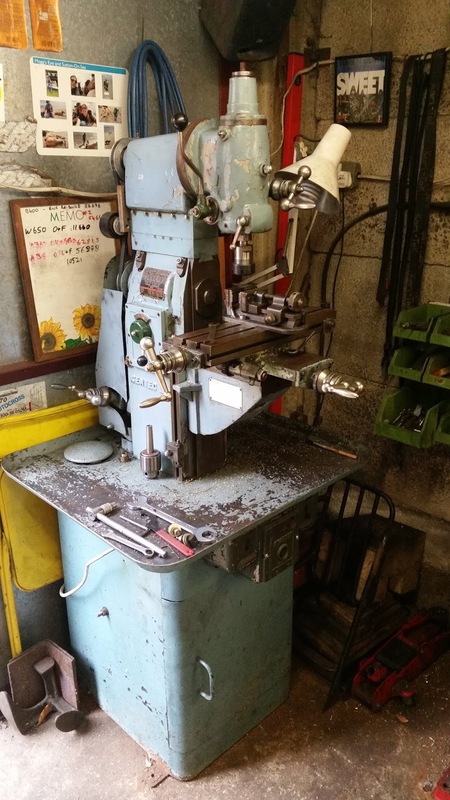 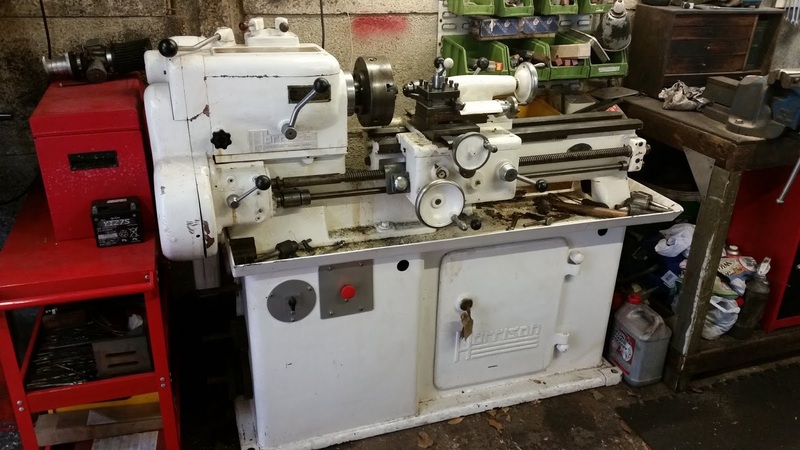 So, the most exciting bike related thing to happen over the last few months was when the lovely benchdonkees-in-law gave me some money to buy a lathe and milling machine! 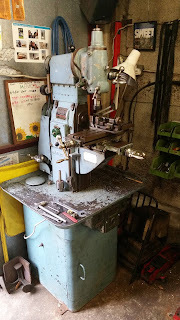 For the last couple of years I'd had the use of Jon's Clarke lathe/mill and I knew that when he came back from his travels and I gave it back it'd be like losing a limb .It's great and so much easier to have my own machines in my own workshop! It's been quite a while since I've posted anything on here, no real reason other than I lost my mojo somewhere along the way. 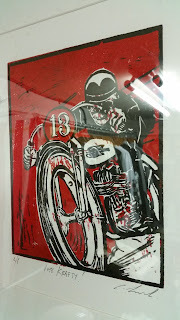 It does happen to me, and others I'm sure, from time to time. 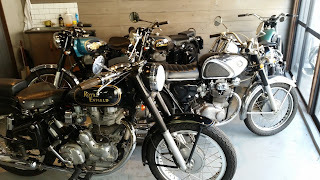 Been busy doing other mainly non bike related stuff, will post some pics later. Any road, got back into Random's chop the last couple of days, told him I'd have it ready by the time the daffs and bunnies were here, gotta get my finger out sharpish! 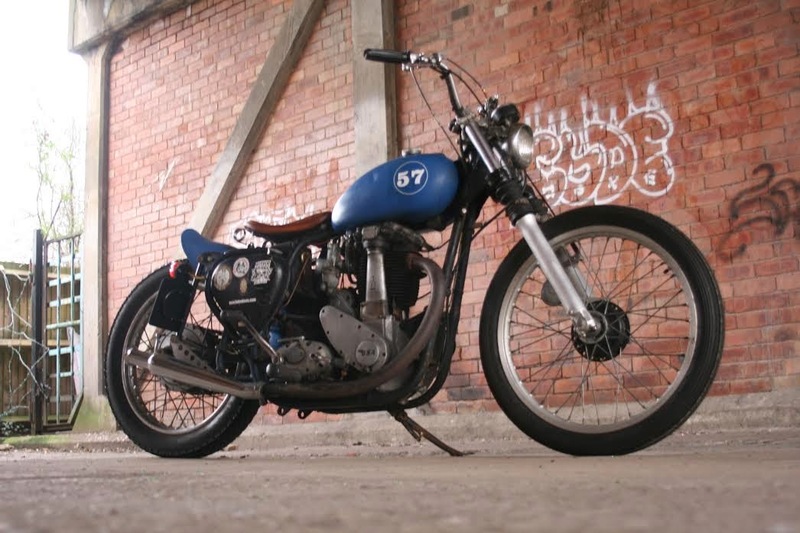 A while ago me and Rich went for a spin and he took some cracking shots of the Prattstyle Z440.